July 1, 2014 (Tony Cartalucci - LocalOrg) - Assigning blame for climate change that will happen with or without human activity on Earth constitutes a disingenuous discourse. The climate changes, and nearly everything on Earth and beyond it affects that change. From geological processes to biological evolution, to changes in the sun's output, to yes, even human activity - absolutely everything has an impact on the climate for better or for worse. Image: Climate change, and even exceptional global warming is nothing new. Even if humans managed to negate any impact they were having on the environment, ice ages, rising seas, and off-the-chart CO2 levels and temperatures are inevitable. All we can do is build civilizations and sanctuaries that can weather the climate, no matter what it does. The climate has been in a constant, linear state of change, long before human beings evolved, and even throughout the relatively short period of time humans have inhabited the Earth. This continuous change may have within it temporary cycles, but at no two points in Earth's natural history has the climate been the same. 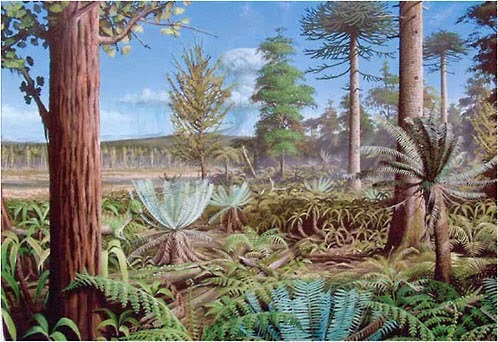 Image: Global warming in Antarctica, 65 millions years BC. Climate change happened, and is happening now. And even with the complete negating of all human activity on Earth, it will continue to change. This does not absolve humanity from addressing its impact on the environment. Quite the contrary. However it gives us a crucial imperative currently being ignored by policy makers and activists alike. All the carbon credits, electric cars, and solar panels in the world will do nothing to prevent potentially hazardous climate change, natural or man-made. Tinkering with the climate through "geoengineering" could result in a catastrophic extinction-event unlike anything experienced in natural history. While human activity negatively impacting the climate should be addressed, measures must be taken to confront climate change that will come no matter what we do within the current false discourse now taking place. At the very center of this false discourse lies the most ridiculous of all suggestions, "carbon credits." It is the modern equivalent of trying to clean New York City's 19th century streets of horse manure by taxing it. Horse manure disappeared from New York's streets when the car was invented. To eliminate the negative health, sociopolitical, and environmental impact of petroleum fueled cars, yet another novel innovation must be invented. Electric cars charged with renewable sources of energy would be a good start. The move to a hydrogen-based economy may be another worthwhile pursuit. To eliminate CO2 and other emissions from power plants and factories, likewise, innovations must be made. It was the industrial revolution and a population capable of creating, inventing, and innovating during the 19th and 20th century that created solutions to the many health and environmental hazards that existed at the time. Of course, new hazards were created in the process. Why now do people believe that anything other than continued innovation can be used to solve these new problems? Technological progress and investment in all that drives it, should be the top priority of anyone genuinely concerned about climate change. the climate outside is doing. However, even with our impact on the environment completely negated through technological innovation, climate change will continue regardless - just as it had long before humanity came into being. 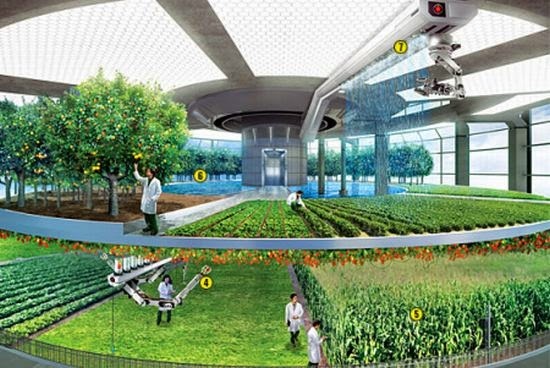 Urban and rural agriculture that takes place within self-contained systems that can conserve and reuse resources, including water and soil nutrients, as well as control atmospheric conditions for optimal growing environments - immense high-tech greenhouses in other words - could protect our crops from global heating or cooling. Architecture that is modular, flexible, mobile, and adaptable could adjust to sea levels, filling in space where land is exposed, or moved to higher grounds when land disappears. Cities and agricultural systems that float upon the sea would make rising and falling sea levels more or less irrelevant. 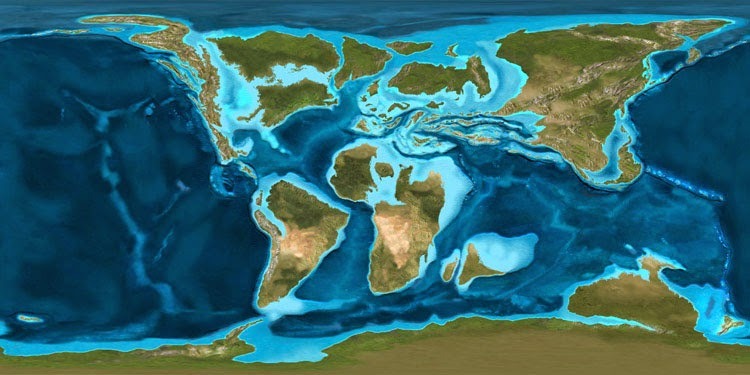 ecosystems and civilizations where they naturally could not exist. 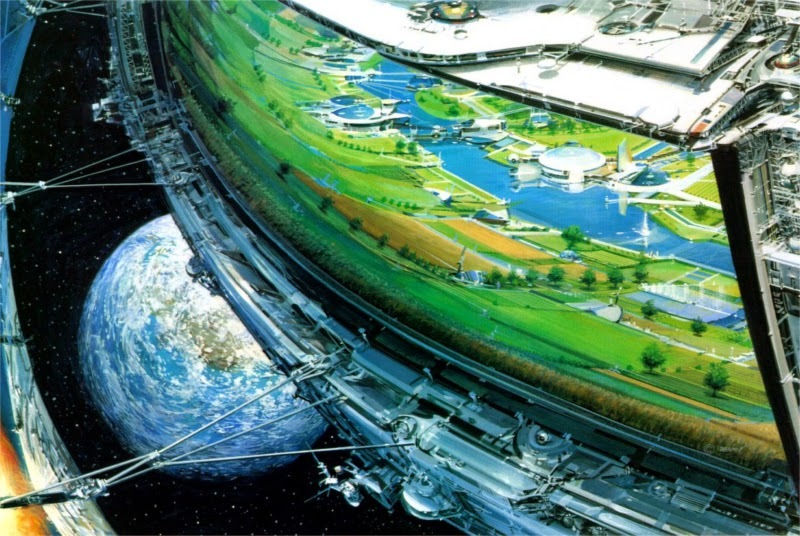 And perhaps the ultimate expression of environmental mastery would be creating habitable ecosystems where none could ever exist naturally - beneath the waves, underground, or even in orbit above Earth. Environmental mastery of this level should be the ultimate goal of governments, organizations, and activists around the world who seek to preserve both our ecosystems and our civilization. Geoengineering and the "Moonraker Scenario"
The other option is one of anti-human regression - where faux-environmentalists who harbor misanthropic hatred for humanity demand all progress stop, energy production be reduced, and instead of finding better alternatives to do more with less, demand that all do as little as possible with as little as possible. Such a mentality is at best putting human progress into "sleep mode." At worst, it threatens our very survival, which has since the dawn of history itself, depended on exploration, innovation, and the ability to conquer adversity rather than surrender to it. Those like White House science adviser, John P. Holdren who suggests the planet be scoured of its populous human inhabitants, now toys with the idea of geoengineering, or extreme global climate manipulation. The likelihood that people like Holdren seek to do so for the continued progress of humanity, rather than to fulfill long desired "depopulation" is slim to none. The chances that people like Holdren seek to "accidentally" plunge the planet into conditions that devastate agriculture and starve hundreds of millions, or even billions to death, are somewhat greater. This would be the "Moonraker scenario" - referencing the 1979 James Bond movie Moonraker. In the film, a deranged industrialist conspires to wipe out humanity and in the ruins repopulate it with what he perceives to be a "master race." While a science fiction thriller, the movie reflects the darkest desires of tyrants throughout the ages - to erase what exists and build an empire of their own designs in its place. As human nature itself does not change, neither have the aspects of human nature that drive such dark desires. From the intentional and reckless genetic pollution perpetrated by huge agricultural and biotech monopolies through the proliferation of GMOs, to attempts to surveil, control, and even manipulate public perception, to the sabotaged false discourse regarding climate change itself and the consideration of geoengineering - it appears attempts to overwrite the planet's climate, population, and culture is already underway, either by design or self-destructive ignorance. By exiting the false discourse on climate change - and other false discourses - and demanding and participating in pragmatic, technological progress, we can protect ourselves as much from the effects of inevitable natural climate change as we can from the delusions and designs of megalomaniacs. An educated, informed, and technologically literate population has the ability to create a technologically driven future that serves the population's best interests. Anything less leaves us at the mercy of an unpredictable elite that history has already many times warned us about.